Kathryn Stephenson, presenting at CROI 2019. This year was our 8th Annual Barouch Lab Retreat. We had such a good time last year at the Museum of Science, that Dr. Barouch decided to host it there again! We were honored to have COL. Nelson Michael join us this year as our 2018 visiting professor. 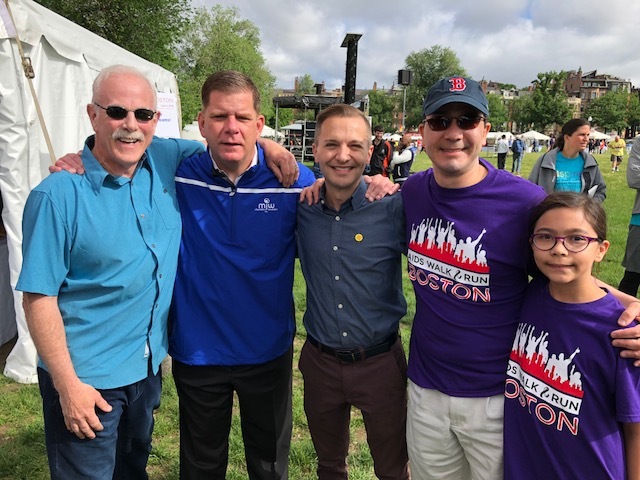 Dr. Dan Barouch with Mayor Marty Walsh at the Annual 2018 AIDS Walk and Run. Dr. Dan Barouch hosted our 7th Annual Lab Retreat and what better place than the Museum of Science?! This retreat included highly informative presentations as well as updates from our lab. As usual, we had an amazing time. 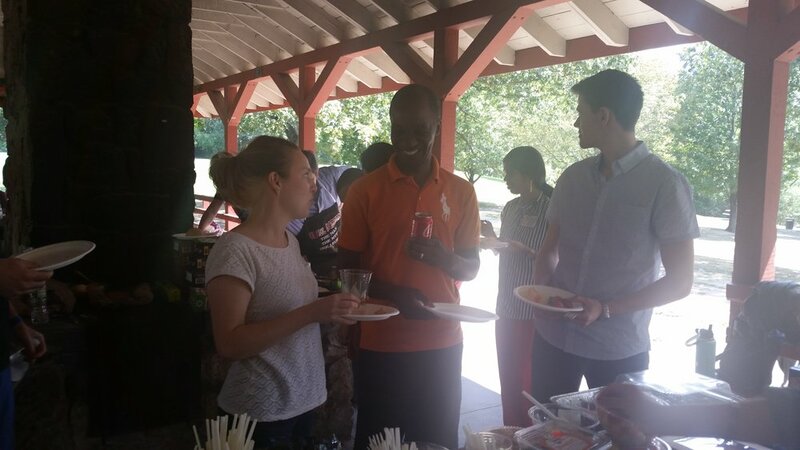 Every summer, Dr. Barouch hosts a picnic for all of his hardworking researchers, nurses, and administrators at Larz Anderson Park. The staff look forward to it every year, as Dr. Barouch mans the grill and delicious pinic food and desserts are served! Staff Scientest Dr. Lori Maxfield enjoys the picnic as one of Dr. Barouch's longest employees! Dr. Barouch's assistant Alyssa Richardson and graduate student Justin Iampietro hang out together at the picnic. We're all friends here at the CVVR! Dr. Kathryn Stephenson's new puppy, Rosie, becomes the CVVR's mascot and enjoys pets and cuddles! Research Assistant Lauren Peter gets the chance to catch up with some post-docs. Research Assistants catch up and enjoy time outside the lab! Research Assistant David Jetton gets his first plate, but certainly not his last! Dr. Barouch and Dr. Jinyan Liu man the grill! In July of 2017, students from the Buckingham Brown & Nichols school on a summer intensive program came to visit us at the CVVR. They were eager to learn about the work being done by Dr. Barouch and his team. Not only did the students learn about virology, immunology, and what we do here at the CVVR, but their eyes were also opened to a day in the life of our scientist and researchers. Many of the students left ready to prepare for a career in the science world. Several of the students even expressed their disappointment that they could not stay longer! Don't worry BB&N, the CVVR will be glad to have you back any time! Every year, Dr. Barouch's whole lab gets together to learn about the work being done by others. It's a highly informative event that updates everyone on how all of our studies are progressing. 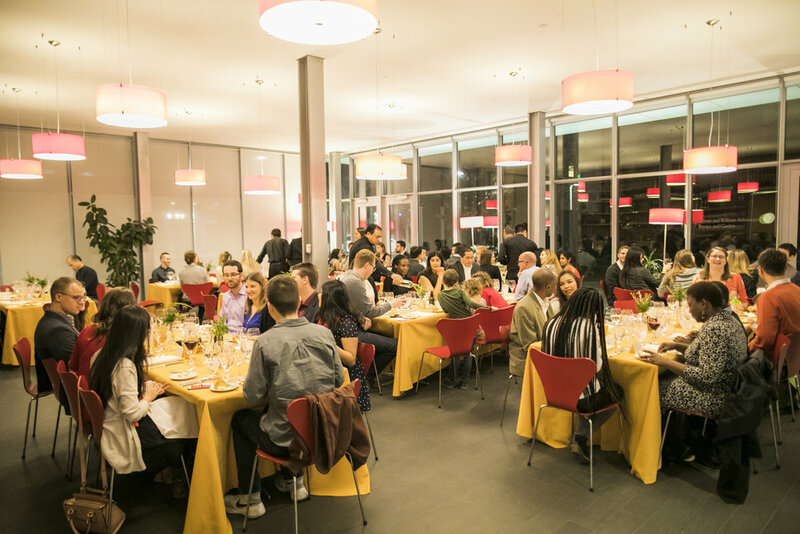 This past winter, we were lucky enough to hold our annual retreat at the Isabella Stewart Gardner Museum!